You can rely on these pads for immediate relief from the burning, itching and irritation associated with hemorrhoids. 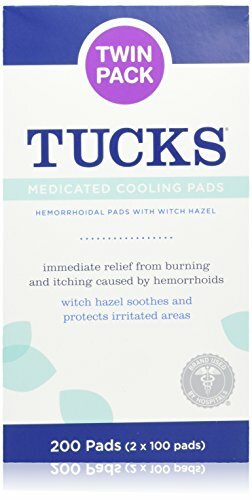 With witch hazel as their active ingredient, they soothe, cool and protect irritated vaginal and anorectal tissue. Provides immediate relief from burning and itching caused by hemorrhoids. Witch Hazel soothes and protects irritated areas. Medicated Cooling Pads are pH balanced, hypo-allergenic, dye-free. If you have any questions about this product by TUCKS, contact us by completing and submitting the form below. If you are looking for a specif part number, please include it with your message.